IBM branded (non-generic) 300GB 10K FC HDD for your IBM server storage needs. The IBM Feature Code 5223 FRU 39M4597 is a 300GB 10k RPM FC hard drive for use in IBM TotalStorage systems. Whether you’re upgrading your IBM server or simply looking for a replacement hard drive, we have what you need. If you don’t see the part listed that you’re looking for, please use our Contact Us form; as we have many parts in inventory that are not listed. Please note that all IBM hard drives, systems and parts are used / refurbished, fully-tested, and backed by a 60 day warranty. The IBM FCAL Hard Drives are provided with the speed reliability and functionality needed for today’s systems. All IBM Hard Drives are designed and tested for compatibility and interoperability in the systems for which they are intended in order to provide the immediate flawless integration expected from IBM storage solutions. 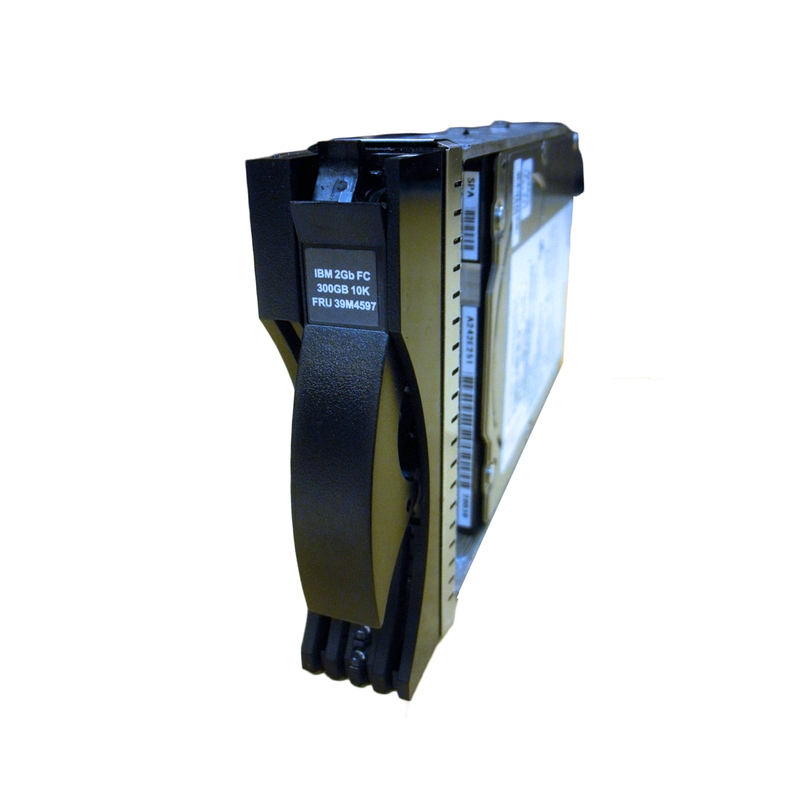 This Enhanced Disk Drive Module (E-DDM) is a 2Gbps, hot-swappable Fibre Channel (FC) Disk Drive option that requires the Link Rate Switch setting of the EXP810 expansion box to be set to 2Gbps. This option increases the storage capacity of IBM TotalStorage DS4000 Series (FAStT) Storage Servers to deliver configurations greater than 67TB. This drive, when used with the fully configured, 16-bay, DS4000 Series (FAStT) EXP810 Storage Expansion Unit, can deliver a more than 4.8TB of high-performance storage in 3U of rack space.